William F. Sallenger Billy B. Swatzel Guthrie L. Turner, Jr.
Raymond D. Kinnard, CPT, Medical Service Corps, of Engelwood, CO passed away on 25 December 2018. Ray served as a Medevac pilot with the 15th Medical Battalion in Vietnam from May 67-May 68. Randell "Randy" Johnson Brewer passed away at home 28 September 2018, in Biloxi, MS.
Randy was born in 1946 in Marianna, FL, the son of J. Olin Brewer and Mary Eugenia "Gigi" Johnson. He was graduated from Marianna High School before serving with Medevac in the 1st Cavalry Division and 101st Airborne in Vietnam from 1967 to 1970. He was at A Shau Valley, Khe Sanh, Da Nang, and Hue. His medals include the Air Medal, the Distinguished Flying Cross, and two Purple Hearts. He later attended West Florida University and worked in Special Education at the Margaret K. Lewis School in Panama City, FL. Wartime injuries forced early retirement, and he moved to Biloxi in 1992. He and Gary Taylor became partners in 1993 and were married in 2014. He was a member of The 15th Medical Battalion Association, the 1st Cav. Division Association, and The Military Order of the Purple Heart. He enjoyed fast cars, high-powered guns, military history, gardening, and he was a hell of a cook. Many benefited from his generosity. David Monroe Cooper, age 72, of Dallas, GA, passed away on 30 September 2018. He was born 13 July 1946, in Atlanta, GA, to the late Russom Perry and Josephine Bagley Cooper. David attended North Georgia College for two years, graduating from West Georgia College with a business degree. Dave Cooper, aka “Coop” served in the 15th Med Bn as a medic and a door gunner and was extremely proficient in both. David worked as a Georgia State Patrolman for 13 years. David was a faithful member of Legacy Baptist Church, as well as a member of VFW and the American Legion. David enjoyed riding motorcycles and horses, and was dearly loved by his family and friends. His sense of humor, funny sayings and wisdom will always be treasured. Dr. Donald C. Barton, M.D. of Corbin, KY was born 23 Mar 35, to the late Clyde T. and Lula (Brown) Barton in Salem, KY and departed this life 7 Apr 18 at age 83. He was graduated from Williamsburg High School, Williamsburg, KY in 1952. He then attended the University of Louisville for eight years, earning a Bachelor of Arts Degree and later his M.D. Dr. Don entered military service in June 1966, and received basic training at Fort Sam Houston, San Antonio, TX. In 1966, he was assigned to Fort Campbell, KY before transferring to Vietnam in 1967. He was assigned to the 15th Medical Battalion, 1st Air Calvary Division (Airmobile) and became Company A commander from May 68 to 69. He participated in numerous engagements, including: AN KHE, LZ Baldy, LZ Evans, LZ Stud to support the liberation of Khe San, Au Shau Valley, and LZ Sharon at Quang Tri. He received the Air Medal (1968) and Bronze Star (1968). Dr. Don was discharged in Seattle, WA in June 1968, with the rank of CPT. In civilian life, he was a family practice physician, retiring in June 2000. In retirement, he enjoyed golf, hunting, and travel. 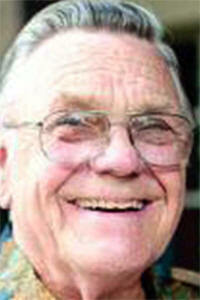 William K. “Bill” Haistings, 75 of Mendon, IL passed away on 13 April 18 in his home. Bill was born on 9 Aug 42 in Mendon, IL to the late Kenneth A. and Nora Jane (McCormick) Haistings. He married Frances Stevens on 15 Feb 86 in Palmyra, MO. Bill served his country during the Vietnam War in the United States Army as part of the 15th Medical Battalion, 1st Air Cavalry Division. He had worked as a mechanic for Sparks and Wiewel, a manager at Auto Works, he worked at the Lima Lake Pump Station and was a stationary Fireman at the Illinois Veterans Home. Bill was a member of the Lima Masonic Lodge. Bill enjoyed rebuilding cars, gardening, going to tractor pulls, and flying radio controlled airplanes. 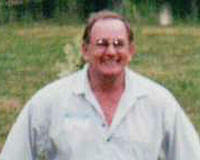 Kenneth Randall Flowers, 68, passed away 9 Feb 18, at Baylor Scott & White Hospital in Round Rock, TX. He was born 25 March 1949 and was graduated from Garland High School in 1967. He then entered the Army where he served as a combat medic in Vietnam in the 1st Air Cavalry Division on the ground and as a flight medic on Medevac helicopters of the 15th Medical Battalion. Doc Nose, as he was nicknamed, was a well respected crewmember and an excellent mentor for less experienced combat medics. He amassed a long list of heroic measures taken for his fellow wounded comrades. In 1978, he received a BS in Radiological Sciences from Midwestern University in Wichita Falls, TX. He was a Radiology Tech for several years. Then he enjoyed great success selling insurance for A.L. Williams and worked his way up to Senior Vice-President. 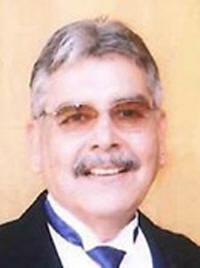 Later in life he returned to school, receiving an MBA in Hospital Administration from the University of Dallas in 1995. He held positions in healthcare administration and ended his career as CEO of Uropath. His greatest "job" was becoming a rancher on his 160-acre ranch known as "Little Big Sky" in Comanche County, TX. He specialized in raising purebred Black Angus Cattle and became well known throughout the state for his fine cattle. ARTHUR MARTIN, age 81, of Dandridge, TN died 5 Aug 17 after a long battle with cancer. He was born on 10 Apr 36 to James C. Martin and Margaret Parnell Martin in Cloverdale, IN. Preceded in death by four brothers, Louis, James, Ralph and Irwin; two sisters, Effie and Junita. He is survived by his wife, Yolanda Derome Martin, who he married on the 4 Jul 59 in France; two sons, Patrick and Michel; daughter, Viviane; daughter-in-law, Melissa; son-in-law, Gilles; and six grandchildren. Arthur retired in 1974 from the U. S. Army after 20 years of service, where he served two tours in Vietnam, and was a member of the 1st Calvary Division's 15th Medical Battalion flying Medevac helicopters. Arthur was wounded on 11 Oct 67 and was awarded the Purple Heart medal. In 1998, he retired from civil service after 24 years with American Battle Monument Commission as superintendent. He had the honor of performing as the Purple Heart Tennessee State Commander, was Worshipful Master of Lafayette Lodge # 51, past Master of Martha Dandridge Eastern Star Chapter, and was appointed Grand Officer Grand Chapter of Tennessee. James "Clay" Keys Jr., 65, passed away 12 Jun 17. James was born on 27 Jul 51 in Knoxville, TN to the late Juanita and James Keys Sr. A gathering of family and friends was held on 18 June 17 at the Moraine Eagles Lodge, 3143 Elbee Road., Moraine, Ohio 45439, ending with military honors. Bobby Joe Aldridge, 82, went to be with his Lord and Savior on 28 Mar 17. Bobby died after a long illness surrounded by his children. He was born on 27 Oct34. He married Faye Marie Goforth on 14 Jul 56 in Cabool, Missouri and to this union three children were born. Bobby was graduated from Summersville High School, Summersville, MO and was born and raised in the Tyrone community. He enjoyed his life. He loved his family, enjoyed stock car races, baseball, gardening, and small engine mechanics. Marco was born19 Nov 41 and died 12 Jan 16 Burial is at Fort Sam Houston National Cemetery, San Antonio, TX. MAJ Jacob "Jake" W. Mast died after his tour in Vietnam on 12 May 15 at the age of 75 after a five- year, courageous struggle with Agent Orange exposure sarcoma in Chesterfield, VA. Jake was a graduate of Flight Class 64-3 and served in Vietnam with HHC 15 MED 1 CAV in 67-68. Jake served as a Major in the U.S. Army Medical Service Corps, where he was involved in the operation of military hospitals and medical evacuation detachments. He piloted Medevac helicopter rescue missions in the Republic of Korea and Vietnam. A graduate of Randolph-Macon College and master's degree recipient from the VCU School of Rehabilitation Counseling, Jake pursued a career dedicated to public service, concentrating in long-term geriatric care administration. Jake retired as CEO of the nonprofit Lucy Corr Village of the Health Center Commission for Chesterfield County. In his almost three-decade career there he demonstrated foresight in his understanding of the health care industry by inspiring development and construction of an expanded nursing home, the first special care unit for dementia residents in the Commonwealth of Virginia, a licensed assisted living adult day care center, a state of the art health care center, and a full service continuing care retirement community, "Springdale." Jake served on numerous boards of directors of health care commissions and foundations including being a Fellow of the American College of Healthcare Administrators, the Virginia Health Care Association, the Central Virginia Health Planning Agency, the Virginia Association of Nonprofit Homes for the Aging, Covenant Woods and the Lucy Corr Foundation. He was a Preceptor, Virginia Administrator-in-Training Program, President Virginia Chapter ACHCA, member Virginia Career Education Advisory Committee, member Education Committee Alzheimer's Commission, Capital Area Health Advisory Council, and 1979 Virginia Health Care Association Administrator of the Year. Jake was also Past Commodore of the Greater Richmond Sailing Association and a 43-year active member of Rotary International, South Richmond Rotary Club. Jake always enjoyed golf, tennis and jogging, but his favorite pastime was sailing with Kay, either when racing their Flying Scot daysailer or relaxing upon their Freedom yacht cruising the Chesapeake and the East Coast from Nantucket and Newport to Florida and the Bahamas. Born on the Eastern Shore of Virginia, Jake always said he "had saltwater in his veins." Edward Miranda, 65, of Phoenix, AZ, was laid to rest on 14 June, 2015, after a long battle with cancer. Edward was a PFC in the Army, working as crew chief and door gunner on a Medevac helicopter extricating soldiers who were wounded in battle. Edward went on to fly about 800 missions in Vietnam and the helicopters he flew in were shot down six times. MAJ Billy B. Swatzell died after his tour in Vietnam on 23 Feb 15 at the age of 83 in Saint Hedwig, TX. Billy was a graduate of Flight Class 62 and served in Vietnam with 15 MED 1 CAV in 63-64 and in 66-67. James Edward McDonald, 77, of Longview, TX passed away 28 Oct 15, at home. He was born 30 Aug 38, in Philadelphia, PA, to John and Sue McDonald. James entered active duty 8 May 1958, and was assigned to the Army Medical Medical Department. His overseas tours included two assignments to Europe and five tours to Vietnam. He served in combat operations with Special Forces, Rangers and foreign field forces. James was awarded two Bronze Stars, three Meritorious Service Medals, eight Air Medals (two for valor), three Army Commendation Medals, two Army Achievement Medals, and numerous other medals, ribbons and badges highlighting his distinguished career, including the Vietnam Service Medal with 12 Campaign Stars. 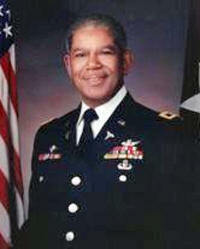 James held a Command Sergeant Major ranking when he retired in 1988. He was presented one of our nation’s highest peacetime awards, The Legion of Merit, for his 30 years of service. He then became an employee of St. John Medical Center, serving as security and safety manager for several years. He made good friends there and after retiring, James enjoyed lunch visits at the hospital several times a week. BG (Ret.) Guthrie Lewis Turner, Jr., MD Passed away 9 Jan 14 at Madigan Army Medical Center, the hospital he commanded from 1980 to 1983. He was born on 26 May 30 in Chicago, IL. He was raised in Snow Hill, NC, and received a bachelor's degree from Shaw University, Doctor of Medicine from Howard University, Master of Public Health from Harvard University, and Master of Business Administration from Pacific Lutheran University. He was married to the lovely Ellaworth Kirby on 6 Jun 56. The only child of Guthrie and Nettie Turner, BG Turner enjoyed a distinguished military career, culminating with his selection as the US Army's first black physician promoted to the rank of Brigadier General. After his retirement from the military, Dr. Turner entered a second career as the Medicaid Director of the Medicaid Assistance Administration of the Department of Social and Human Services for the State of Washington. A man who believed in service, Dr. Turner donated his time to many, many organizations, such as Shaw University, the Franciscan Health Network, the National Medical Association, the Madigan Foundation Board, the Tacoma Urban League, and Oberlin Congregational Church. 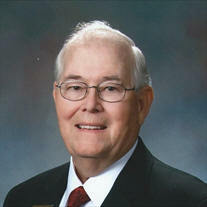 Lawrence E. "Ed" Chance, 81, formerly of Murfreesboro, passed away peacefully at John Knox Village retirement center of Tampa, FL January 21 of natural causes. 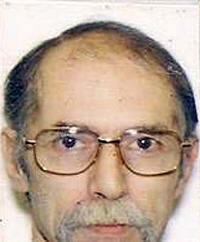 Ed served for many years as a psychiatric social worker at the Alvin C. York Veterans Administration Medical Center and retired from there in the mid 1990s, continuing to work in the area in a variety of settings until he and his wife Dorothy relocated to Florida approximately 15 years ago. Ed retired from the US Army as a colonel. He volunteered for service during the Vietnam War and served in active combat, earning many commendations including multiple bronze stars. He was the lone social worker for the Army Division that ultimately suffered the highest number of casualties during the Vietnam War, and during the period of highest casualties of the War.. His main clients were the combat troopers, but those of us medical personnel who were around him found him to be a constant source of encouragement and inspiration. He had a wonderful sense of humor. His humor was mostly self-deprecating, making fun of himself, never at the expense of others. He often joked that he was just a civilian in a green uniform, but the many medals that he received, and the fact that he attained the rank of Full Colonel in the Army Reserve belied that image. 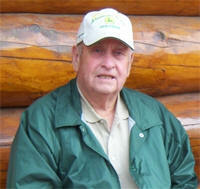 Joe Harley Landon, age 80, of West Fork, AR, died 27 May 14 in West Fork. He was born 14 Feb 34 in Topeka, KS, the son of Clarence Harley and Emily Griffith Landon. He was in the Army Special Forces, retiring after 24 years as a 1SG. He was a long time member of the VFW Post 2722 in West Fork, and Renault Remote Control Airfield. COL John D. Hays started his 30-year career at 22, enlisting in the Army after college. Hayes died 27 Apr 14 of complications from leukemia. He was 77. Hayes, who was reared in the Panama Canal Zone, developed a life-long love of the outdoors. He was deployed to Vietnam, an experience of which he never spoke after returning. He was later assigned to the Office of the Surgeon General, working with returning Vietnam prisoner-of-war veterans. He debriefed the prisoners when they returned and helped them readjust to their families. He always thought it was one of his most meaningful assignments. 1SG (Ret) Wesley Morganfield was born on April 21, 1937 to the late Rogers and Mattie Morganfield in Marianna, AR, where he was also raised and educated. On July 25, 2014, our Heavenly Father called Wesley home. He was a servant of our Lord and Savior Jesus Christ and faithful member of Anderson Chapel A.M.E. Church where he once served as class leader. Wesley Morganfield served his country honorably while enlisted in the United States Army from February 1960 to April 1986. During his military career, he served with distinction as a Green Beret with the United States Army Special Forces. He served two tours in the Vietnam War (1967-1968 and 1970-1971). Wesley's dedicated service to his country resulted in numerous awards, decorations, and commendations to include: Bronze Star Medal with one Oak Leaf Cluster and "V" Device, Purple Heart, Army Commendation Medal, Army Achievement Medal with one Oak Leaf Cluster, Presidential Unit Citation, Meritorious Unit Commendation, Army Good Conduct Medal Silver three loops, National Defense Service Medal, Vietnam Service Medal with one Silver Service Star and one Bronze Service Star, Republic of Vietnam Gallantry Cross Unit Citation with Palm, Republic of Vietnam Campaign Medal, Expert Badge (Rifle), Combat Medical Badge, Parachutist Badge, and Vietnam Parachutist Badge. Following his retirement from the military, Wesley continued to serve his community in a second career as a Paramedic at Darnall Army Community Hospital working in the emergency room and ambulance sections from 1987 to 1995. Thomas R. "Tommy" Machande, Sr.
Thomas R. "Tommy" Machande, Sr. (24 Jun 44 - 13 Nov 14) Tommy was hired by the Bowie Vol. Fire Department in 1965, where he worked at all three stations during his career. His fire service career was interrupted by service in the U.S. Army, in 1968 and 1969, serving with the 1st Air Calvary Division, 15th Medical Battalion in Vietnam. Upon his return home, he was transferred to the Boulevard Heights Vol. Fire Department from 1970 until 1973. Transferred back to Bowie in 1974, Tommy served as the Technician until he retired in 1993. He was considered by many of his peers to be one of the best technicians in the fire service in Prince George’s County. Tommy was awarded Life Membership status in the Bowie Volunteer Fire Department in 1993 and served as a volunteer technician and member of the Apparatus and Equipment Committee until his death. Tommy was a patient mentor to generations of firefighters in both the Bowie Volunteer Fire Department as well as the Prince George’s County Fire Department. 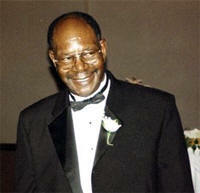 Charles Edward Williams was called to his Heavenly home on 9 Nov 13, at the age of 69. He was born in Helena, Arkansas, on 8 Aug 44, to Edgar Lee and Catherine (Trainer) Williams. 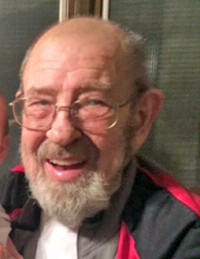 He enjoyed a childhood full of outdoor sports: swimming, diving, water skiing, fishing, hunting, baseball, and football. He attended Ouachita Baptist University on a football scholarship and also played baseball worthy of notice by professional scouts. He participated in ROTC and was graduated with a Bachelor's degree and a commission as a lieutenant in the U.S. Army. He became a helicopter pilot in the First Cav Div Air Ambulance, or Medevac Unit, serving in Vietnam 1968-1969, and was highly decorated for his service. In 1971 Charles married Janice Koltermann in San Antonio, TX. He worked in the general construction business, and was part owner of Mesquite Construction, Inc. Later he worked as an estimator for Phelps, Garza, Bomberger - Architects. Charles met the challenge of a diagnosis of Multiple Sclerosis with courage and determination and continued to move about in his power wheel chair, doing activities he enjoyed. One of the greatest joys in his life was coaching youth soccer. His teams, always called the Mustangs, won many tournaments and district or season championships. He had great talent in the field of developing young athletes. He was a great Spurs fan. 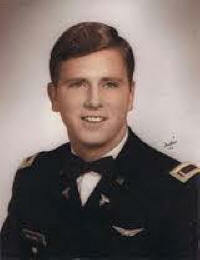 CW2 Daniel L. Boyd died after his tour in Vietnam on 17 Aug 13 at the age of 66. Daniel served in Vietnam with 15 MED 1 CAV in 68-69 with the call signs of DUSTOFF 20, MEDEVAC 25. Dan was born 11 Nov 46 in Macomb, IL. A veteran of the Vietnam War, he was a Chief Warrant Officer who served his country proudly as a Medevac helicopter pilot for the United States Army. After serving his country Dan worked in power plants around the country before settling in Clemmons, where he worked for Essent Guaranty as Director of Application Development. Dan was a lifelong biker, riding his Harley-Davidson to work most every day. He was an avid football fan and talented cook, with a great taste for food and fine spirits. He was also a serious computer geek who honestly enjoyed his job and the wonderful people he worked with. He was known for keeping a candy jar on his desk. COL Joseph (DOC) W. McNaney Jr, MD, MPH, 79, a decorated military man and medical doctor passed from this earth on 29 Sep 12 at home with his family. He was born to Joseph and Margaret McNaney 18 Apr 3 in Springfield MA. COL McNaney entered active duty on 17 Aug 61 after graduating from Holy Cross College in Worchester, MA with an AB in Pre-Med. COL McNaney continued his medical training and completed medical school at New York Medical College in New York, NY. Upon completion of medical school COL McNaney did his internship at Mercy Hospital in Springfield, MA. His residency assignments include St. Francis Hospital in Hartford, Connecticut, Walter Reed Army Medical Center and an Aerospace Medical Residency. COL McNaney also has a Masters of Public Health from the University of California, Berkley. COL McNaney began his service to the 1st Cavalry Division in the Republic of Vietnam in June 1969. From June 1969 to June 1970 he served as both the Division Surgeon and the Commander of the 15th Medical Battalion. 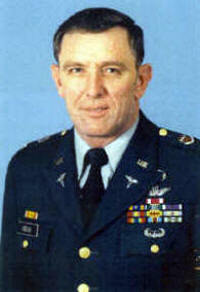 COL McNaney retired from active duty on 1 Feb 84. Until his death COL McNaney continued his service to the 1st Cavalry Division on the Association of Board of Governors and the Division Support Committee Chairperson for the 1st Cavalry Division Association. COL McNaney had number military awards and his civilian awards include the Sikorsky "S" and a Helicopter Rescue Award. 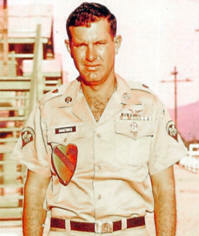 CW3 Joseph Holmes died after his tour in Vietnam on 19 Sep 12 at the age of 72 in Dothan, AL. He was a graduate of Flight Class 65-8W. He served in Vietnam with 15 MED BN 1 CAV in 65-66. He was one of two African-American students in his flight class and was recognized with honor. Joe was the quiet, unassuming guy when the Civil Rights movement was at at its peak. After his return from RVN, he became an instructor at Ft Rucker. Joseph was recognized there with over 22,000 hours. At age 70, he was still enjoying his work as an examiner. Daniel T. Wilkinson, 63, died Tuesday, 28 Feb 12, at Allegheny General Hospital in Pittsburgh, PA. Born 20 Nov 48, he was the son of the late Thomas Wilkinson and Dorothy Edwards. He was a Vietnam veteran serving in the U.S. Army, where he served with Medevac, 1st Air Cavalry Division. He retired from C&S Construction on 7 Jan 87, after being disabled from an on the job accident. He was a lifetime member of the National Rifle Association. He was buried at Riverview Cemetery with the Tri-State Veterans Burial Group providing full military honors. Richard B. Mellon, 63, died 23 June 09, in the Veterans Administration Medical Center, West Roxbury, after a long battle with cancer. Formerly of Dorchester and Canton, he was the son of the late John and Edna Mellon of Canton. A retired manufacturer in the curtain industry, he was owner of Mellon Company and an auctioneer. Having obtained his Eagle Scout distinction in Dorchester, he remained active in Scouting until his death. 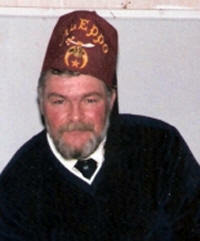 He was also a member of the Quincy-St.Paul's Algonquin Masonic Lodge and devoted his time to the King Philip Shrine Club, raising funds for their transportation fund, which allows for transportation from the east coast of the U.S and Caribbean, including South America, for burn patients to come to the Shriners Burn Hospital in Boston. He was an active member of the Greater Taunton Charitable Association from its inception, providing a helping hand and improving quality of life for families in Taunton and surrounding areas. After graduation from Hyde Park High School, he served in U. S. Army in Vietnam, serving as a crew member on Medevac helicopters in the 1st Cavalry Division. 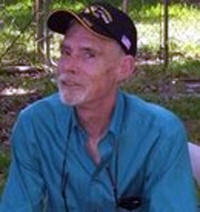 Richard was a member of the Disabled American Veterans. 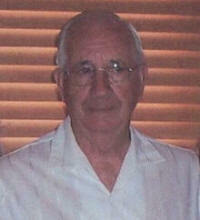 COL (Ret) W. Rex Davis, died 12 June 12 at the Hospice Brazos Valley Inpatient Unit in Bryan, TX. SFC (Ret.) 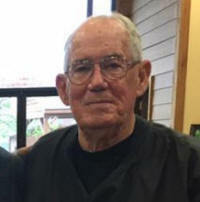 Gordon Lee Russell, age 93, passed away on 17 May, 2012. SFC Russell was born on 7 August, 1918 in Gadsden, AL. He was a decorated soldier in the U.S. Army, having had tours in WWII and Vietnam. Later he was a mentor with the Ft. Benning Drug Abuse program. Daniel Eugene Weaver, 59, of Lockport for 25 years, formerly of Lemont, passed away Saturday, 8 Aug 09 at Silver Cross Hospital in Joliet. Daniel was born Aug. 22, 1949 in Huntingburg, IN, a veteran of the U.S. Army serving in Vietnam, a member of the American Legion in Lockport, a member of 15th Medical Battalion, 1st Calvary Division Association, and avid Harley rider and a member of H.O.G. Chapter Joliet. 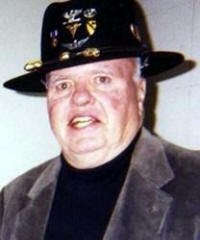 MAJ Milton "Milt" H Heins died after his tour in Vietnam on 16 Nov 07 at the age of 82. Milton served in Vietnam with 11 CAG 1 CAV in 65, 2/20 ARA 1 CAV in 66, and 15 MED BN 1 CAV in 66. 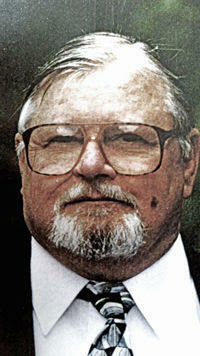 WO1 Adrian "John" J. Bean died after his tour in Vietnam on 29 Jul 06 at the age of 58.8 from murder. He served in Vietnam with 15th MED 1 CAV where he flew a medical evacuation helicopter for the Army in 69. John was shot during a robbery of the restaurant he co-owned and died the next day from his wounds. COL Eldon H. Ideus, Sr., 61 years of age, of Roanoke, TX, was killed after the single engine plane he was flying crashed into a wooded area in far southeastern Norman, Oklahoma on 21 Jan 03. His passion for flying led him to work for the Texas Aerial Inspection Company as a pipeline patroller. He was flying natural gas pipeline inspection routes for Texas Aerial Inspections, Inc. at the time. He very much loved flying and contracted with the company to fly these routes in Oklahoma on a monthly basis. His attention to detail was remarkable and he was dedicated to safety, very well respected for his skill. As a career military officer, he served two tours of duty in the U.S. Army in Vietnam as a Medevac Pilot and also led the Medevac into Desert Storm commanding 3250 medical troops. He had two Purple Hearts and earned many other commendations. 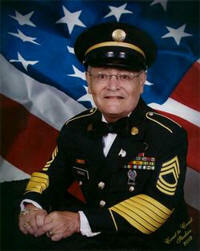 Eldon joined the Army National Guard in 1959 and retired in 1994. He subsequently was a Director of Operations for American Medical Response, a national ambulance company--still committed to saving lives. All Eldon wanted was to be was a good soldier in life. That is what he was. He never drew attention to himself, but cared passionately about helping others. 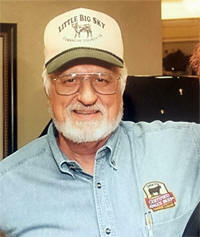 Eldon was inducted into the DUSTOFF Association Hall of Fame in 2004. Sherman was born on 10 Oct 49 and passed away on Sunday, 28 Jan 01. Sherman "Snore" Breeden established the first official Web site for former members of 15th Medical Battalion, First Calvary Division. Snore's Web site had "Bad Moon Rising" playing in the background and, as a tribute to him, we continue that tradition on this Web site. Sherman, a very altruistic individual set about to find and meet with his old comrades. With the help of many others, he expanded his Web site, helped to extend the search for former members of the unit and served as a guidepost for the rest of us. 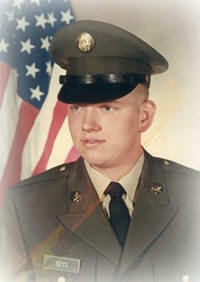 CW3 Marvin E. Nester died after his tour in Vietnam on 12 Oct 99 at the age of 63 from cancer in Brewton, AL. He was a graduate of Flight Class 66-1 and served in Vietnam with 15 MED 1 CAV in 66-67, 273 HHC in 69, and 222 AVN in 69-70. He call sign in Vietnam was MERCY 31. CW2 William N Jackson died after his tour in Vietnam on 31 Jan 96 at the age of 52 from heart attack in Clayton, OK. He was a graduate of Flight Classes 67-503 and 67-23. He served in Vietnam with 15 MED 1 CAV in 68-69 with the call sign of MEDEVAC 17. 1LT Stephen F. Modica died after his tour in Vietnam on 7 May 95 at the age of 49 from diving accident in River Ridge, LA He was a flight school graduate of Flight Class 69-22. He served in Vietnam with 15 MED 1 CAV in 69-70 with the call sign of WILD DEUCE. 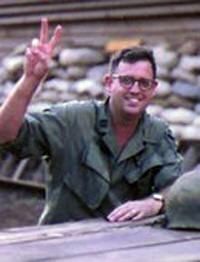 CPT Michael L Hagerty died after his tour in Vietnam on 1 Apr 82 at the age of 42 from heart attack. He was a graduate of Flight Class 63-3. He served in Vietnam with HHC 15 MED 1 CAV in 69-70. MAJ Guy Seering Kimzey died after his tour in Vietnam on 20 May 72 at the age of 36 from an aircraft accident. He served in Vietnam with 15 MED 1 CAV in 65-66 and the 237 MED DET in 69-70. His private aircraft crashed in Monterey, CA enroute from Fritzche AAF/Fort Ord, CA to San Rafael, CA. The aircraft departed at about 2255 over the Monterey Bay. At 2300 he advised FSS that his engine had quit on take off over bay. The aircraft was observed ditching in the bay & sinking immediately off Palm Beach near Watsonville, CA. An immediate night search was conducted by the USCG with 2 vessels & a helicopter with an HC130 dropping flares. The USCG found an oil slick, but no wreckage was found. His spouse's body was spotted the next morning by the maintenance manager for the Moss Landing Harbor Patrol District & recovered by the USCG. No trace of Kimzey was ever found and the search was suspended. The NTSB found that there was a power plant failure for undetermined reasons. A CFI pilot for the US Army, MAJ Guy S. Kimzey was 36 with 3100 flight hours. CW2 William F Sallenger died after his tour in Vietnam on 19 Jun 70 at the age of 25 from a motorcycle accident in Glenarm, IL, two weeks after DEROS. Bill was a graduate of Flight Class 69-7 and served in Vietnam with 15 MED BN 1 CAV in 69-70.